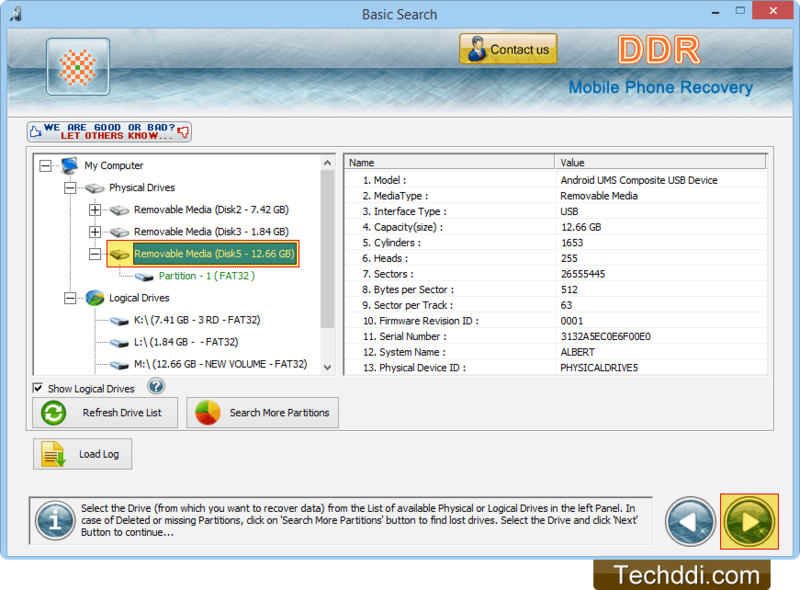 Select the drive from left tree panel to recover lost data. Right tree shows details of selected drive. Wizard displays current status of scanning process. 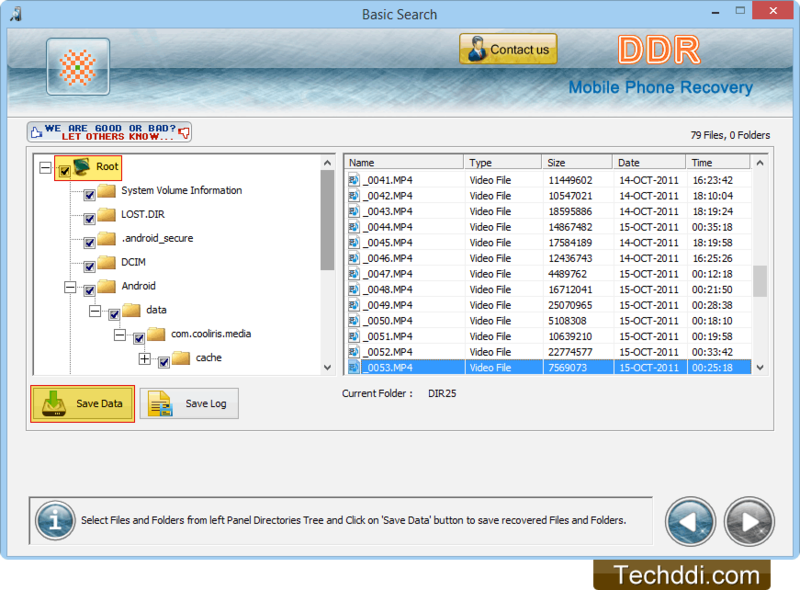 To save recovered data files, select data files and folders and click on 'Save Data' button.